We service all 50 U.S. states & over 30 Countries. Become a Lifeguarding Instructor. Online Home-Study & 2-3 Days In-Person Training Session! Register for a Lifeguard Instructor Certification Course Now! Become a Lifeguard Instructor. We make becoming a Lifeguarding Instructor ultra-convenient! Our nationally & internationally recognized Lifeguard Instructor certification courses are available in all 50 U.S. states, over 1,500 American cities, and over 30 countries around the world. Become a Lifeguarding Instructor Now! Easy Two-Part Course. Our Lifeguard Instructor certification course is conveniently designed in two easy parts - Online Home-Study Course, plus 2-3 day In-Person Training Session. How It Works. Become a Lifeguarding Instructor. PART 1 is a comprehensive online Home-Study Course. In your online Home-Study Course you will study your course required textbooks and videos; and, complete your course required exams. No more traveling to multiple inconvenient classes. No more waiting endlessly for an available Lifeguard Instructor class in your local area. No more sitting in boring classes with strangers. 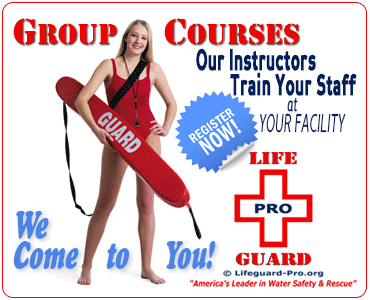 You can start your Lifeguard-Pro Lifeguard Instructor course anytime! Work in the comfort and convenience of your own home! PART 2 is a 2-3 day In-Person Training session in your local area. That's right... Only 2-3 DAYS! Because you successfully completed all your course required academic and preparatory work in your online Home-Study Course before attending your In-Person Training Session, the Lifeguard Instructor Trainer can provide you with all of the course required In-Person Training in just 2-3 days! 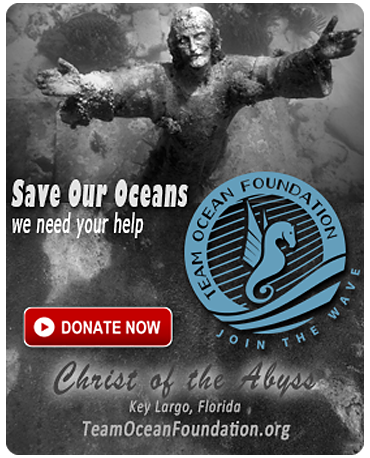 Available in all 50 U.S. states, and over 30 countries around the world. You select the In-Person Training location. You select the In-Person Training date. Only 2-3 days of In-Person Training. 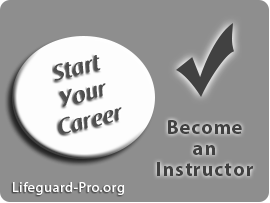 Your local Instructor Trainer will train you -- even if you're the only Lifeguard Instructor candidate in the class! No more traveling to multiple inconvenient training classes. No more wasting your precious time in classes with unprepared students. Cut your In-Person Training time in half! Immediate proof of certification is available at the end of class. In-Person Training Sessions in most areas are available by appointment 12 months a year and 7-days a week! REGISTER NOW. When you are ready to register and purchase your Lifeguard Instructor Home-Study Course, simply fill out the brief Registration Form. If you are already a Lifeguard Instructor for another nationally recognized Lifeguard certification agency, we can help you easily and affordably cross-over into becoming a Lifeguard-Pro Lifeguarding Instructor. 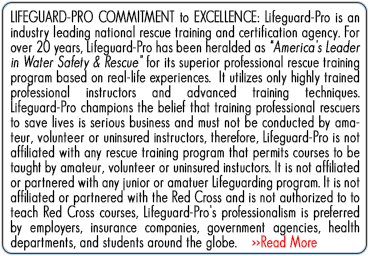 What Your Lifeguard Instructor Certification Course Includes. (B) Lifeguard Instructor certification course (includes CPR certification course, CPR Instructor certification course, First Aid course, and First Aid Instructor course). A Lifeguard certification (with CPR for the Healthcare Provider and First Aid certifications) is a pre-requisite to the Lifeguard Instructor certification course. 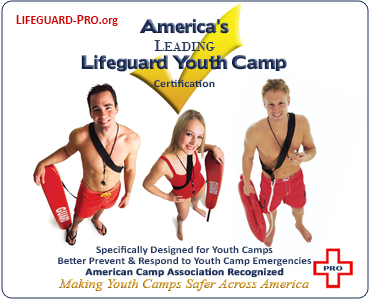 If you are not already a certified Lifeguard, you must also purchase and complete the Lifeguard certification course. (D) American Heart Association certification courses (including American Heart Association CPR BLS certification course, American Heart Association HeartSaver CPR certification courses, American Heart Association HeartSaver First Aid certification course, and American Heart Association Blood Borne Pathogens course). That's right! When you become a Lifeguard-Pro Lifeguarding Instructor, you also become an American Heart Association BLS Instructor and American Heart Association HeartSaver First Aid Instructor! When Can You Start Your Lifeguard Instructor Course? Since Part One of your certification course is the online Home-Study Course, you can start your Lifeguard-Pro Lifeguarding Instructor certification course anytime. To enroll now. Fill out the brief Registration Form on our webpage REGISTER NOW. FREE STUDENT REFERRALS TO OUR LIFEGUARD INSTRUCTORS. 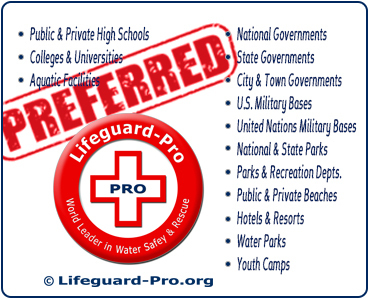 We refer all students seeking to purchase In-Person Training to the student's local Lifeguard-Pro certified Lifeguard Instructors. 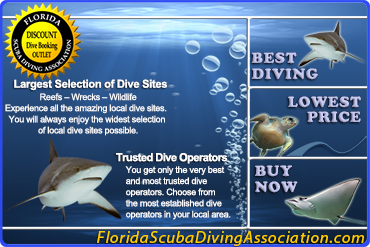 The local Instructor is free to accept or reject the paying student's request for In-Person Training. 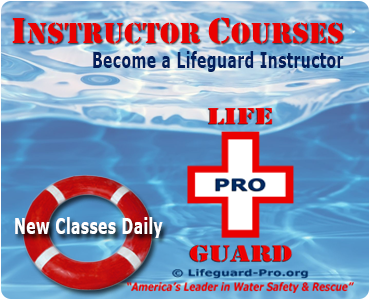 Ready to become a Lifeguard-Pro Lifeguarding Instructor? CONTACT US. More questions? Contact our friendly customer service team.